A more nuanced and humane MDP? The government's announcement of the proposed changes to the application of the mandatory death penalty (MDP), while falling short of outright abolition, is a welcome move. However, fundamentally the government continues to adhere to the rationale behind the MDP — that it is a deterrent to the crime of drug trafficking. The proposed changes have caught activists by surprise. Most, from what could be gleaned from their Facebook postings, are generally appreciative of the move. It has been a long hard road to Deputy Prime Minister Teo Chee Hean's announcement in Parliament on Monday. The call for the abolition of the death penalty goes way back to the 1990s with The Think Centre, the Singapore Democratic Party (SDP) and the late JB Jeyaretnam spearheading the campaign. Later, lawyer M Ravi, together with bloggers and other supporters, joined the movement. The application of the MDP is, as many have pointed out, problematic. This is especially so in cases involving drug traffickers. For example, the discretionary powers of the Attorney General, who decides on what charges to bring against an accused, effectively leaves him with power over the life of the accused. A judge in a trial involving a capital case does not have power to sentence an accused to any other punishment except death. In other words, death is mandatory for those found guilty of a capital charge. The presumption clauses in the Misuse of Drugs Act (MDA) are also another problem. They effectively leave the burden of proof of innocence on the accused himself who is presumed to be guilty unless he proves himself innocent. Given that in cases involving drug mules, who invariably come from disenfranchised backgrounds who lack financial resources and familiarity with the law, such presumptions effectively condemn them to the gallows. These still stand in law. Monday's announced changes do not alter these, although now judges will be able to mete out the alternative sentence of life imprisonment with caning. Mandatory sentences are still applicable — however, these are now for "kingpins and organisers of syndicates." Also, the condition for a drug mule to avoid the death sentence - that he "must have cooperated with CNB in [a] substantive way" or "have mental disability impairing appreciation of [the] gravity of [the] act" — is left to interpretation. What does "substantive way" mean? Does this leave too onerous a responsibility on CNB officers to determine? For a mentally-impaired person, does it mean he will be sentenced to life in prison instead of the gallows? There are therefore several aspects of the implementation of the death penalty which would worry activists. What would be appreciated by activists, however, is that the changes mean "all accused persons who meet the requirements can elect to be considered for resentencing under the new law" which will take effect later this year. This "includes accused persons in ongoing cases, as well as convicted persons who have already exhausted their appeals and are currently awaiting execution", according to a Today report. This would mean that Yong Vui Kong, who's been on Singapore's death row since 2008 and whose case has sparked greater public awareness of the MDP, will have the opportunity to apply for resentencing, thus avoiding being hanged. This would come as some comfort to Vui Kong and his family which has been appealing for mercy for him. Concerns have been raised that the changes are expected to affect only a very small group of people. Most drug mules could still be consigned to the gallows, because of the two "specific, tightly-defined" conditions laid out by DPM Teo. It is thus no surprise that while lawyers applauded the changes, they were also circumspect on what they really mean for their clients on death row. Nonetheless, the changes are perhaps a recognition that the law should not be devoid of heart and a sign that the government is finally giving more weight to the "softer" side of the law. The government was also quick to point out that this does not mean it is softening its stand on drug trafficking. Indeed, following the announcements of the changes to the MDP, it also said it will "put more resources into border checks and enforcement to stop illicit drugs from entering Singapore" and that if necessary, the law could be further tightened. The recognition that the law "can be tempered with mercy" also perhaps reveals the thinking that our laws must be brought more in line with international norms. After all, that is what human rights groups — both locally and internationally — have been calling for too. Unbeknownst to the public, the government had imposed a moratorium on hangings since last year. This was revealed by the Law Minister. Incidentally, this was also what activists had been calling for in their campaign for Vui Kong. "Crime must be deterred and society must be protected against criminals," Law Minister K Shanmugam said in Parliament on Monday. "Criminals should receive their just desserts. But justice can be tempered with mercy and where appropriate, offenders should be given a second chance." 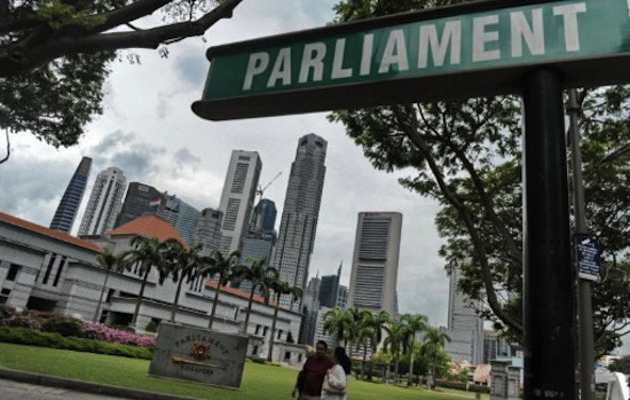 So, while there are several aspects of the death penalty which requires scrutiny as well, Monday's changes by the government is a step in the right direction towards Singapore taking a more nuanced and humane application of our laws. At least that is what is hoped.